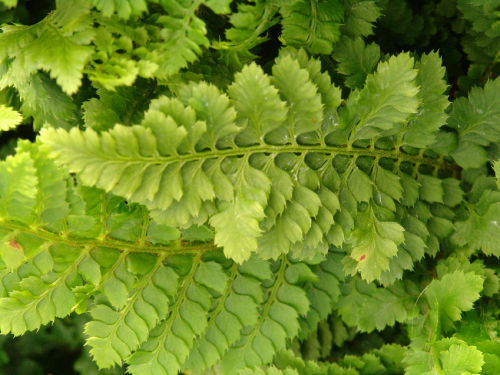 A dwarf variety with close, upright fronds each sporting overlapping pinnae. Reliably evergreen, holds on to the fronds until April when new fronds emerge. Very easy to grow, seems happy in most soils except waterlogged.